Hey is that freedom rock? Turn it up man! Music with libertarian themes. 2112 is one of the best dystopian stories in my opinion. Update: I’m still listening to Rave Boar. I didn’t even really know that something called “experimental electronic rock” existed, but it does, and my life is better for it. Cool. That’s what I’ll be listening to while I finish up my workday. If anyone is into experimental electronic rock, Rave Boar, the folks who do the music for all Liberty.me video material are worth checking out. The band are libertarians, as well. 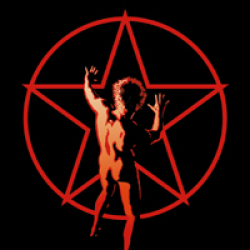 My wife and I once spent a whole (pre-pregnancy) summer evening just listening to Rush for the first time.